We provide detailed, comprehensive, and result-oriented essay editing for applications to MBA, MiM, MS, and PhD programs. All packages include brainstorming sessions, detailed reviews and edits, and help with resume editing / preparation, recommendation strategy, and plenty of school insight to help you create stellar applications for admission to top ranked global programs! Although included in all our Essay Editing (Admissions Consulting) packages, Resume Preparation is also offered as a separate service. Through this service, we help you craft the perfect resume that will always stand out and help you differentiate yourself, irrespective of your purpose – applying to top MBA/MiM/MS/PhD programs, or simply for a new job. Preparing for MBA interviews or MiM interviews? Our detailed and highly successful (100% success rate!) interview service helps you understand the interview process at top global institutions and then prepare responses to questions you are most likely to get asked. So thorough is this, that the real interview seems like an easier version of our mock interviews! Don’t just prepare for the GMAT; prepare to ace the test in every way and on every section! We provide both batch training and 1-on-1 personalized teaching for the GMAT. Whether it is our comprehensive course material, our rigorous tests, or our outstanding teachers (all top MBA graduates), we offer simply the best GMAT preparation in person or online. The Business Admissions Test (BAT) is the standardized test used for admissions to the INSEAD Executive MBA and the ISB MFAB program. We offer our own study material for BAT preparation, and also offer BAT training classes in small batch sizes. In addition, sample BAT tests and training for BAT case interview analysis is also provided. We are the world’s leading BAT training provider. Made it to IIMA! Cheers to GyanOne! Could not have asked for more! Cheers!! Sir, I just received an admit offer from Ivey with scholarship of CAD 45,000 and Rotman with scholarship of CAD 15,000. First and foremost, I would like to thank you for all your assistance and support. This would have not been possible without your help and encouragement. Dont have words Guys!! You guys rock! Made it to all three top ones!! Thank you so much Rishabh!!!! I have good news. I got accepted to Berkeley Haas. I want to thank you for all the effort, guidance and support you provided, would not have been possible without your help. Rishabh, truly appreciate the level of support you've extended on each application, i don't think any other Consultant would have put in so much time and effort, given our timelines. You're awesome! CEIBS with 10 Lakh Scholarship / ISB Admit Too! Got in 🙂 Thanks for all the help. IMD Switzerland / HEC Paris Admit Too! Thank you so much for all the help and guidance GyanOne! Am thrilled! Thanks a lot for your help…Made it to INSEAD! Very excited! Got the admit letter from NYU Stern Langone programs. Thanks for all your help. Also got Admit from MCCOMBS with Scholarship of USD40000 at both! I received a mail yesterday from her stating that I have been admitted to Rotman ! 🙂 Received 10% scholarship. Admitted with a $20000 scholarship! Thank you so much! I have been admitted to Wharton Lauder MBA program 🙂 So just wanted to thank you for all the help. Made it to UCLA Anderson. All thanks to you. You have been a great motivator. Awaiting scholarship results! I got through UNC kenan flagler and Kelley with 50% scholarship. Thrilled! Thank you so much for the great help you have been providing me throughout the application. My association with GyanOne started with a profile evaluation post GMAT. I have got great advice from GyanOne right from my first interaction regarding schools and their intakes. I was glad to have decided to extend this association for the entire MBA application process. Right from consultation regarding schools, shaping my goals and essays to interview prep, I got end to end guidance from Rishabh and Swati. I am really thankful to GyanOne for helping out with my application process which seemed such a daunting task in their absence. Made it to IIMB with scholarship and Duke Business Sschool. Thank you for all the help, guidance and mentoring. Hi, This is Rajan Seth. 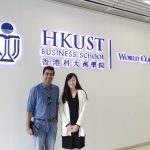 I took GyanOne's services for applying to top bschools in the US and have recently received an admit from Kenan Flagler business school with 100% tuition waiver. 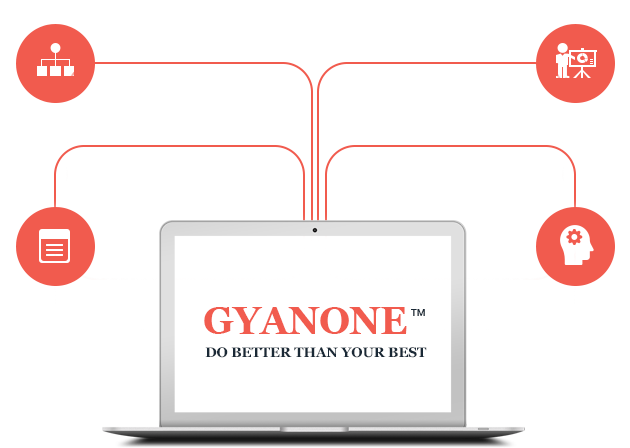 I found GyanOne's services to be excellent, professional and highly expert driven. Would certainly recommend them to all applicants applying to top bschools around the world. Hi, I am Dhruva. While I was researching on bschools, I came across GyanOne and since that day I started working them. I took their services for my Kelley Application and am happy to inform that I have got an admit with scholarship and graduate assistantship. All thanks to GyanOne, especially Rishabh for extensive help on my essays. I would highly recommend them, they are very approachable and provided answers to each and every question I had with very prompt email replies. Once again thank you GyanOne and Rishabh for all your help! Hi, I had taken services from GyanOne for my Stanford MSX and MIT SCM applications and, it was a wonderful experience working with them. I have got an admit from both the programs and highly recommend them to all applicants applying to top bschool in the US. Thank you! I am proud to have associated with GyanOne for their MBA Application Review service. I have made relationships for life with this group having really sincere and hard working chaps. Their service is truly comprehensive and they are true to every word of their commitment and dedication. Cracking Chicago Booth and then Columbia, two of the 10 best MBA in US could not have been possible without them. I was very happy with all my essays and was confident of the interview calls while submitting my applications. Thanks again to you guys! 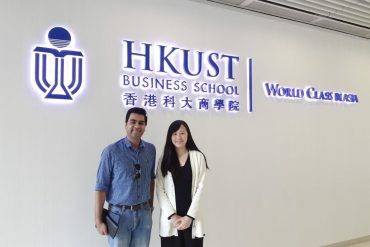 Latest in the MBA World! Our blog features unique insight into the admissions process, success stories from applicants past, and advice on how to negotiate the most challenging aspects of the application journey for MBA, MiM, MS, and PhD programs. We have a 95%+ success rate. Our clients win more than $8 million in scholarships every year. All our consultants are alumni from top institutions such as MIT, INSEAD, Kellogg, LBS, and ISB. Our experience spans 2000+ applications. Our glowing testimonials on this site and on various public forums are testimony to how our clients love us!